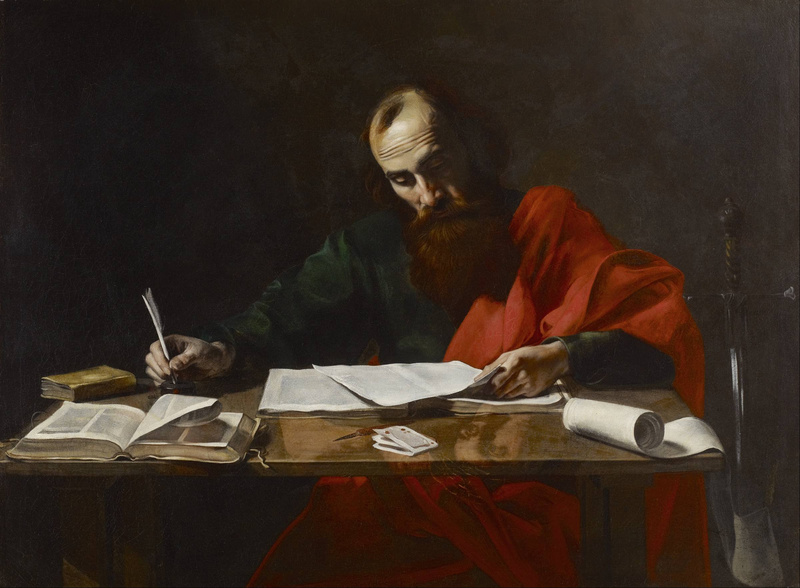 This image of Paul, the writer of ancient letters, is full of incorrect assumptions. Stop for a moment and imagine the composition of one of Paul’s letters. How did Paul write a letter? We might imagine a scene like the picture on the right. Paul is alone in a room, sitting at a table with pen in hand. He writes on sheets of parchment or papyrus. In a matter of a few hours, he rises from the table having produced another one of his theological masterpieces. This would be a logical modern scenario of letter writing. The problem is that, according to E. Randolph Richards, everything in this imaginary scenario is wrong. In his book, Paul and First-Century Letter Writing, Richards debunks modern myths regarding the process of composing ancient letters. The purpose of Richard’s book is to look at “the actual mechanics of the letter-writing process” (p. 19). He believes, “the image we hold of Paul as a letter writer carries with it certain assumptions which do affect how we interpret Paul’s letters” (p. 23). Exactly What’s Wrong with Our Assumptions? Our first wrong assumption is thinking that Paul would be alone when writing. 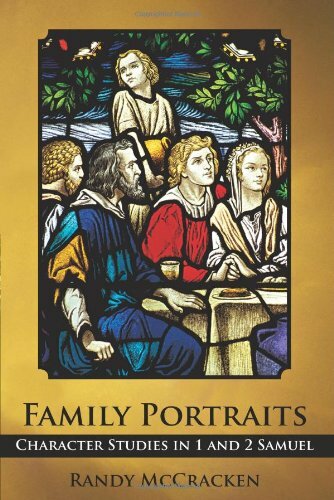 Richard notes, “Recent sociological studies suggest that modern Western values such as privacy and individualism not only color our reconstructions but also have no real equivalent in Paul’s world” (p. 26). He continues, “Not only is there no privacy in most of the East; they cannot imagine why one would want it” (p. 27). The importance of a group mentality, rather than an individual mentality is essential in understanding the ancient East. Richard points out that Paul was the leader of a team. Although the team did not consist of equal collaborators, still their input “further defined the group’s thought” (p. 27). According to Richards, “Paul’s letter was the expression of the group’s consensus reached by dialogue” (p. 27). Richards notes that many of Paul’s letters list a co-author (1 & 2 Corinthians, Galatians, Philippians, Colossians, 1&2 Thessalonians, and Philemon). While we cannot know how much a co-author contributed to these letters, Richards argues convincingly that they had a role. A second wrong assumption is that Paul physically wrote each letter himself. The evidence shows that Paul always (or almost always) used a secretary. Richards makes the interesting point that literacy in the ancient world primarily meant the ability to read. Being able to read did not necessarily mean that one had the ability to write, especially to write well. We know that Paul had the ability to write. A number of his letters mention him writing certain things in his own hand (e.g., Gal. 6:11; Phil. 19). But this doesn’t mean that his writing ability was up to the standards necessary to pen one of his letters. A secretary wrote with a trained hand. Richards notes other aspects that we as moderns would not think of when it comes to ancient letters. I quote him here at length. “. . . secretaries required skills with the writing materials beyond what the ordinary individual possessed. Papyrus was sold by the individual sheet or by the standard roll. Paul’s letters did not fit either size. Additional sheets needed to be glued on to lengthen a roll (or trimmed off to shorten it). A secretary needed to mix his own ink and to cut his own pens. A secretary also needed to draw lines on the paper. Small holes were often pricked down each side and then a straight edge and a lead disk were used to lightly draw evenly-spaced lines across the sheet. A secretary also needed a sharpening stone to keep his pen sharp and a knife to cut new tips as necessary” (p. 29). 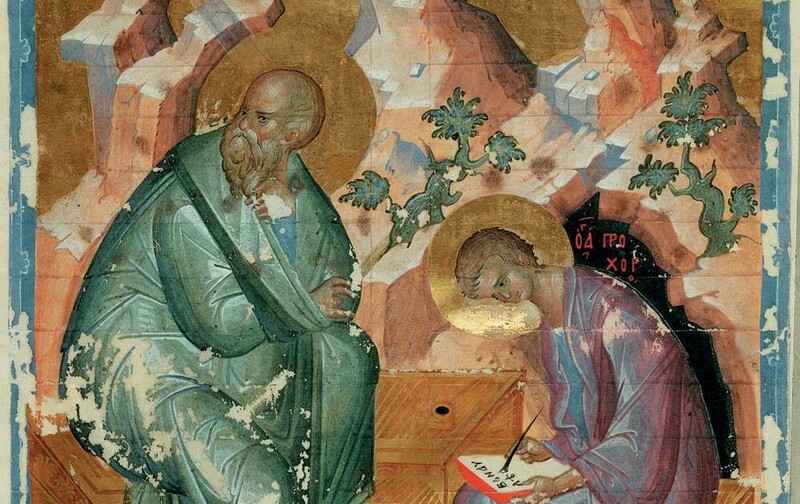 This picture represents the Apostle John dictating a letter to his secretary Prochorus. Note that the customary position for writing was to use one’s lap for writing (not a desk). The use of a secretary (amanuensis is the Greek term), presents other important insights (and questions). Secretaries could take word for word dictation (which was agonizingly slow unless they were proficient in shorthand). If they knew their employer well enough and it was a form-letter, they could compose the letter entirely themselves. Of course, the employer checked it before he sent it. Now, no one is suggesting that Paul turned his letters over completely to a secretary to compose, but the point is that secretaries had a range of freedom. It is possible that Paul allowed a secretary to make grammatical improvements. Secretaries would also be familiar with rhetoric and form and, thus, could influence the style and flow of a letter (if asked). Using a secretary usually meant the making of a rough draft. The rough draft was checked and edited if necessary. Next, several copies were produced. The sender kept one copy, and sent one or more copies to the recipients. Many mistakingly think there was only one copy of a Pauline letter (called the “autograph”). But ancient practice suggests that at least two copies (and sometimes more) were made. This was the better part of wisdom. If an original was damaged or lost “in the mail,” it could be recopied from the sender’s original copy. Given the expense of ancient letters (see below), having only one copy of an important letter would be careless. This entire process also suggests that a letter of any length would require days or weeks to complete. This is different than thinking Paul dashed off a letter to the Romans within the space of a few hours. Richards states, “Paul’s writings show clear evidence of careful composition. They were not dashed off one evening in the flurry of mission activity” (p. 31). (For an excellent article on secretaries–although I do not agree with all of his conclusions–see “The Secretaries of Peter, Paul and John,” by Taylor Marshall). The cost of producing ancient letters the size of Paul’s epistles is sobering, to say the least. How much did a letter cost in Paul’s day? We might falsely assume that there was no great expense. It is also important to remember that Paul’s letters were unusually long. Although there is great difficulty in transferring ancient costs into current costs, Richards takes an admirable shot at it. Even if the figures are not quite accurate, the impact on a modern reader like myself is worth the effort. Richards breaks the cost down into the following categories (listing ancient costs for each): 1) Number of lines of text; 2) Percentage of a “standard” papyrus roll needed per copy; 3) Cost of papyrus per copy; 4) Cost of secretarial labor per copy; 5)Total cost for finished letter; and 6) Cost in today’s dollars. To mention a few results, the letter to Philemon (Paul’s shortest letter) would cost approximately $101. 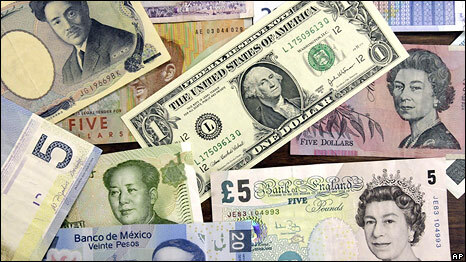 (This amount is based on the value of the dollar in 2004, the publishing date of Richards’ book). An letter of intermediate length such as Ephesians would cost $770. Paul’s longest letter (Romans) would cost a whopping $2,275! The figures may not be exact, and perhaps Paul and his team did not pay market prices on everything. However, these estimates demonstrate the incredible expense potentially involved for the letters included in our New Testament. If nothing else, this should give us an appreciation for the value of the works that make up our Bibles. Richards’ book is full of interesting and provocative details like the ones mentioned above. It is not possible for me to do it justice in this short post. I would encourage those interested to obtain a copy. It will not only fill in the details above, but allow the reader to gain many other valuable insights. My purpose here is simply to cause us to reflect on our modern assumptions regarding New Testament letters. I have enumerated some of the implications of Richards’ research below. According to Richards, New Testament letters were a collaborative effort. This does not mean that we should stop calling Paul’s letters “Pauline”. Paul is the obvious leader of his team. He is clearly also the main author. The contents of any letter going out bearing his name would have to meet with his approval. It simply means that we should not force modern Western 21st century understandings on the composition of ancient letters. It also means we should take seriously the mention of a co-author as a contributor to the letter. Furthermore, we should be aware that the way a secretary wrote had an impact on the letter. Examples include, rhetorical style, and grammatical influence, among other possibilities. This is significant in explaining why certain Pauline letters, or sections of certain Pauline letters, may not “sound” Pauline. Some scholars designate certain letters as “deutero-Pauline“. This suggests that Paul did not write them. Instead, later disciples wrote in his name. The Pastoral Epistles (1&2 Timothy, & Titus), among a few others are so designated. However, if we recognize that co-authors and secretaries can influence style and content, it becomes much more difficult to say that something is not from Paul (and his team). The suggestion that Paul edited his letters has implications for the meaning of inspiration. Richards briefly addresses this subject in his final chapter, but more thought and work is needed on this point. Paul’s use of a secretary and the production of multiple copies of a given letter is important. The discovery of ancient libraries demonstrates that copies of manuscripts can last hundreds of years. (On this topic, see my post HERE). Multiple copies and their preservation suggests that the reliability of New Testament manuscripts is greater than some skeptics allow. The production cost of these copies is another reason the early church valued and protected them. Put another way: if you had a copy of a book (i.e., letter) that cost hundreds or thousands of dollars, written by a well-known, authoritative leader of your movement, don’t you suppose you would take good care of it? Besides the cost, the time investment necessary to produce one of Paul’s letters should give each of us a greater respect for their contents. Of course, those who believe in inspiration will already approach these letters with reverence. However, knowledge of the above facts demonstrates that inspiration can involve an investment of time and resources. Jews and Greeks in the First Century A.D. I really enjoyed this post. I had been coming to a few of these conclusions myself, simply based on reading and writing a Bible Study for my very small group once a week for a few years now. I had noticed that there were “secretaries” sometimes doing the actual writings, such as from 1st Peter where he actually acknowledges that his letter was written by the hand of Silvanus — or when Paul would write a small portion himself and let the reader know that he had done so. The idea of the “group mentality” also shows up when reading the details of a story — such as at the resurrection when Mary is mentioned as having gone to the tomb but when all the versions of that story are compared there was more than one person there — Mary was simply the leader or most prominent one. Or when a telling mentions that Jesus went here or went there, but we find out in the details of the story that there was a whole group of people with Him who are not specifically mentioned unless they played some active part in the story that is being related. I’ve never known what to call this, but I had noticed it. I also liked the clarification on how God inspires writing. I have found it frustrating in the past to have belonged to a church that relies on a preacher standing to speak without notes of any kind based on the admonition that when we are taken before a judge we should not prepare what to say because the Holy Spirit will give us what to say at the time. In that situation, yes that is exactly how we should rely on God’s inspiration — but somehow they had not noticed that the actual writing of the Bible was “inspirational”, too, and it could not possibly be done as you mentioned suddenly on the spur of the moment in an evening. God gives His inspiration to those who seek it — who study and look for it. Even in my own writing, which I know to be lead by the Spirit, God gives me a first draft, and then He speaks to me again and again as I comb through it over and over again pointing things out to me that I either did not notice, all together, or had taken in a wrong light, based on what followed that particular text. He keeps speaking to me, for which I am completely grateful, because it is important to teach God’s word correctly (rightly dividing the word of truth. ). Even when I was first coming to know Christ (and Christianity) God would wake me up with a scripture but he would say it to me over and over and over, again. He knows that is what I need in order for me to understand!! He is so good and so patient!! Thank you for taking the time and having the interest to read and share this information with others. You have blessed me with confirmation of what I had begun to known inside myself for a while now. It is nice to have it all drawn out in words. You are a blessing! May God continue to inspire you to His work!! Thanks for your response Marcia. I share your frustration with those who think that all Bible study, preaching, etc. should come with no effort, as if the Holy Spirit doesn’t work through those who prepare and study. I addressed that concern in an article I wrote some time ago on this site entitled, “Can Bible Study Be Spirit-led and Academic?” I appreciate your pursuit of His Word and sharing your thoughts here. God bless. By the way… I purchased a copy of the “Paul and First-Century Letter Writing” and have finished the first chapter. It is a very good read. Glad you shared about it or I would never have known it existed. Blessings to you.